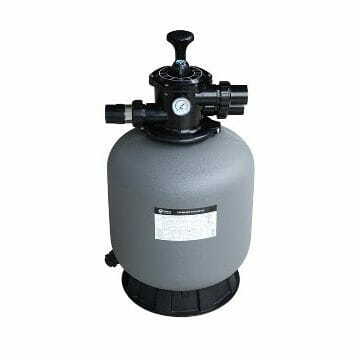 Blown sand filters made of high density polyethylene with a maximum working pressure of 2 BAR. Supplied with a high quality multi port valve TOP or side version. Shell's material is made from a long life UV protection against sunlight. Maximum liquid temperature of 40 ° C / 104 ° F. Recommended sand particle size between 0.5 to 0.8 mm.